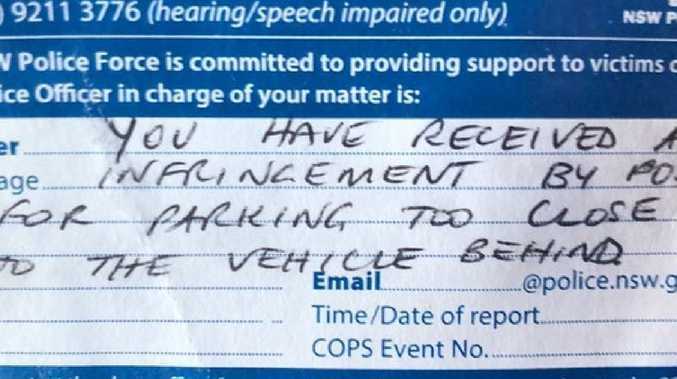 A DRIVER was left in disbelief after receiving a parking infringement for being too close to the vehicle parked behind him. 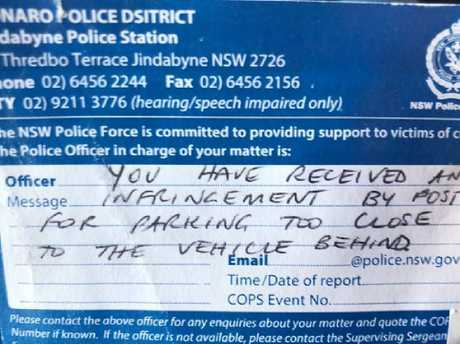 The infringement notice was written on a ticket with the contact details for Jindabyne Police Station in southeast NSW and read: "You have received an infringement by post for parking too close to the vehicle behind." The driver's friend posted a picture of the ticket to Reddit and shared his incredulity that a fine would be issued for such a seemingly small offence. "My friend got this ticket … obviously not much going on at the station," the Reddit user wrote. But there were a few things about the ticket that raised suspicions about it's authenticity. The first was the noticeable lack of detail written on the notice. Apart from the message informing the driver of their infringement none of the other sections were filled out. The Officer, COPS Event No. and Time/Date section were all left blank, which raised alarm bells for some Reddit users. One user said the fact that it wasn't filled out properly was very unusual. "If I've learned anything, it's that police must fill in paperwork correctly." Eagle-eyed social media users also noticed a spelling error in the top left-hand corner of the card further raising suspicions. On the top of the card it should have read "Monaro Police District" but a spelling error resulted in it saying "Dsitrict" instead. It is hard to believe that there would be a spelling error on an official police infringement notice. "I call it as a piss-take. Look at the heading of the card. A Police DSITRICT? Either someone has bodgied up some fake cards, or they have some genuine ones (that have typos) and use them to leave passive aggressive notes," one person wrote. The original poster gave a bit more context in the comment section of the post, saying his friend parked close to a police station to ensure his car would be safe and when they returned they saw the notice on the car. He assumed an officer "got his tape measure out" after they left to determine whether his friend had parked too close and slapped him with a fine. After multiple commenters telling the poster that the fine could possibly be fake he said that his friend believed it was a "legit" notice. "The phone numbers are right (minus the front bracket) and the [website] is a real address," she said. "Seems like a lot of effort to go to for a fake note just to annoy someone." 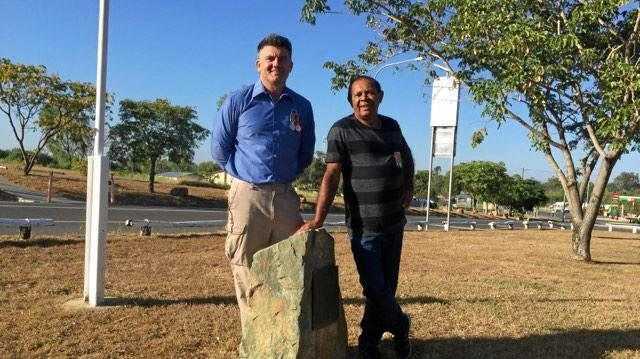 A spokesman from the Queanbeyan highway patrol told news.com.au because there was no infringement number on the notice and the majority of the sections weren't filled out it was unlikely the fine was real. That being said, parking too close to another vehicle if a fineable offence in NSW. Parking too close to the front or back of another vehicle can result in a $112 fine, according to the Roads and Maritime Services website. 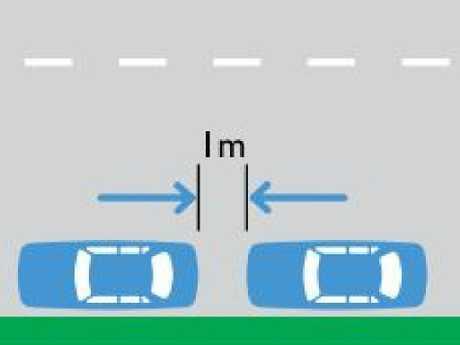 When parallel parking, a driver is not allowed to stop the car within 1m of another parked vehicle.